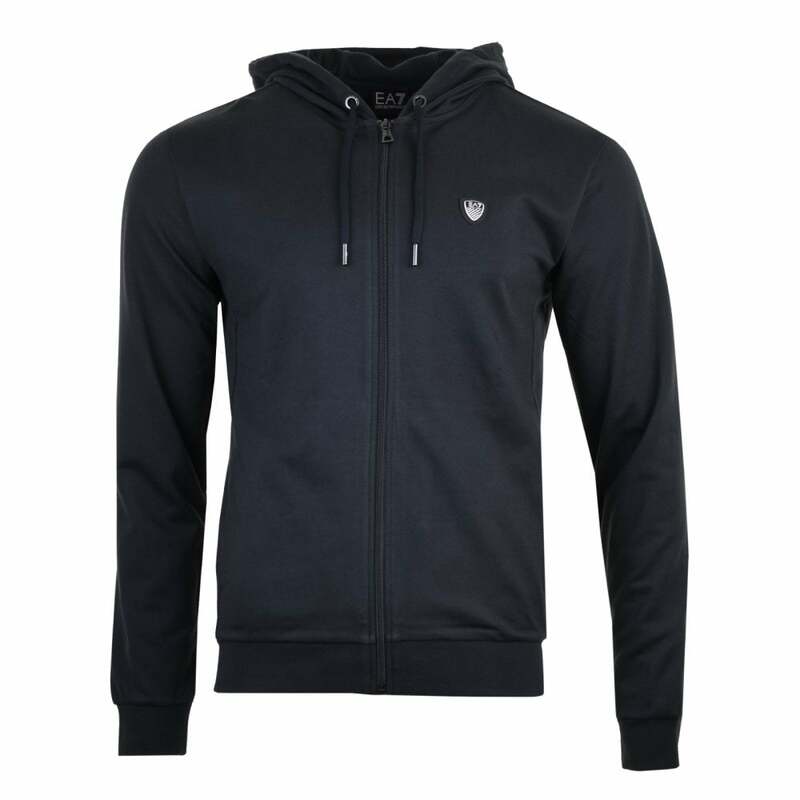 This EA7 Metal Badge Zip Hooded Sweatshirt is 100% cotton and is night blue in colour. It is hooded with a thick drawstring and has a full zip fastening and open pockets at the front. EA7 branding appears on the silver and black badge on the chest, as well as on the zip tag.